OK 11 once duplexed with U.S. 60 from U.S. 77 in Ponca City to OK 99 in Pawhuska. At that time, current OK 11 between U.S. 77 and OK 18 in Shidler was OK 119. OK 119 was then decommissioned, and OK 11 was signed along the highway's entire length. U.S. 60 and OK 11 still have a duplex, but it now begins at OK 18 in the Osage Indian Reservation. At a distance of 206 miles, OK 11 is Oklahoma's 8th longest state highway. 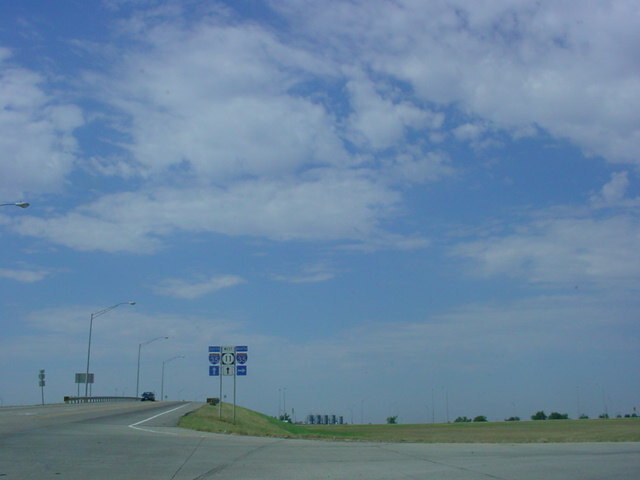 It starts at U.S. 281 north of Alva and ends at Interstate 244 in Tulsa. The highway runs north-south for much of its final 75 miles. OK 11 also shares long duplexes with U.S. 60 and OK 18 in the Osage Indian Reservation. OK 11 is the farthest north east-west state highway in north-central Oklahoma. OK 8 South/OK 11 East at OK 8 South/OK 11 East/OK 58.
left (east) and duplexes with U.S. 60 for the next 21 miles. OK 18 North/OK 11 West assurance shields just north of U.S.
OK 11 West at Harvard Ave. U.S. 75 is 3/4 mile ahead. OK 11 is 1 1/2 miles ahead at Interstate 244/U.S. 412. Tulsa International Airport, which is just a mile to the north.